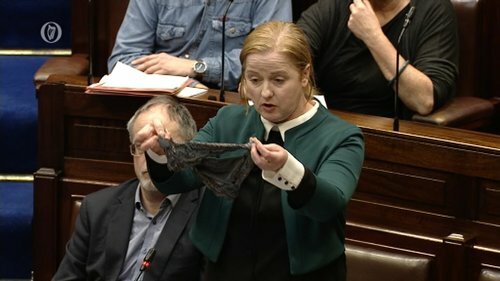 Solidarity TD and Socialist Party member Ruth Coppinger reflected the mood when she questioned Leo Varadkar in the Dáil, demanding action from the government on victim-blaming in the courts and holding up a thong in the chamber. This is probably a first in Dáil history, and cameras quickly panned away from the “offending item”. However, as Ruth pointed out, if this is incongruous in the national parliament, it’s even more so for underwear to be used in a court as evidence against a woman. This movement must absolutely demand and fight for changes such as compulsory training for judges and juries in cases of sexual violence and education about consent in schools. However, the case in Cork is not an isolated example. 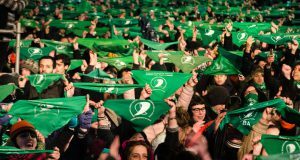 Victim-blaming and misogyny are endemic in the court system, the state and in society generally under a capitalist system which has sexism and inequality at its core. 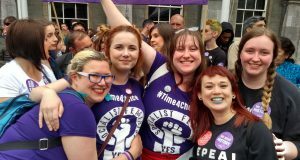 We need to build a movement of women, young and LGBTQ people and all sections of the working class around an anti-capitalist and socialist-feminist programme which challenges this system and all the injustices it perpetuates.